The public lecture by professor Craig Parsons (University of Oregon) “Think the US Market Is More Unified and Liberalized than the EU? Think again!” will take place 15th September (Tuesday), 12:00, room 402. In the context fo EU and US negotiations on the Transatlantic Trade and Investment Partnership (TTIP) which if fruitful will result the biggest free trade deal in history, the guest will discuss the importance of the ongoing negotiations on TTIP for the EU, the USA and smaller members of transatlantic community like Lithuania. Institute offers an opportunity to take part in one month postdoctoral fellowship programme of School of Slavonic and East European Studies (UCL). Programme aims to provide young scholars from Lithuania to conduct, under guidance of their hosts at SSES, cooperative research with leading research groups in the university and other institutions. Fields of research includes all fields of humanities and social sciences. The opportunity of the fellowship programme will be given to one candidate. Candidates willing to apply for the fellowship programme are asked to submit their CV with references to their major publications and a full description of their intended research project at UCL SSEES by email zivile.vaicekauskaite@tspmi.vu.lt until the 9th of December. The application must be submitted in English. February Latvian Institute of international Affairs released a collection of articles entitled „The Politics of Economic Sustainability: Baltic and Visegrad Responses to the European Economic Crisis”. In this monograph three researchers of IIRPS VU: prof. Ramūnas Vilpišauskas, prof. Vitalis Nakrošis and dr. Vytautas Kuokštis published their article “Politics of reacting to the crisis in Lithuania in 2008-2013: exiting the crisis, entering politics as usual?”. 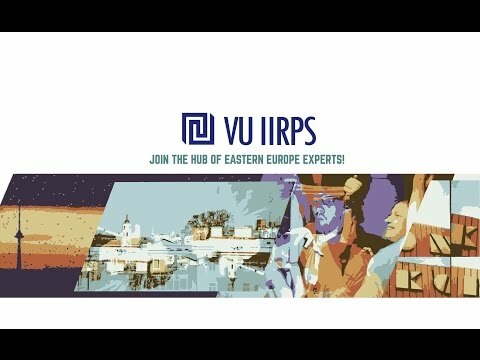 From 1 March, 2013 IIRPS VU has joined an EU FP7 (IRSES Marie Curie Actions) project “EU-PREACC – Possibilities and Limits, Challenges and Obstacles of Tranferring CEE EU Pre-accession Best Practices and Experience to Moldova’s and Georgia’s Pre-accession Process (2013–2017)”. Project coordinator: University of Tartu, project partners: IIRPS VU, Moldova State University, Ivane Javakhishvili Tbilisi State University. Discussion "Israel and Palestine after the 50 days war: anything left to discuss?"